Railway was also used in the transport of mahogany in our country. 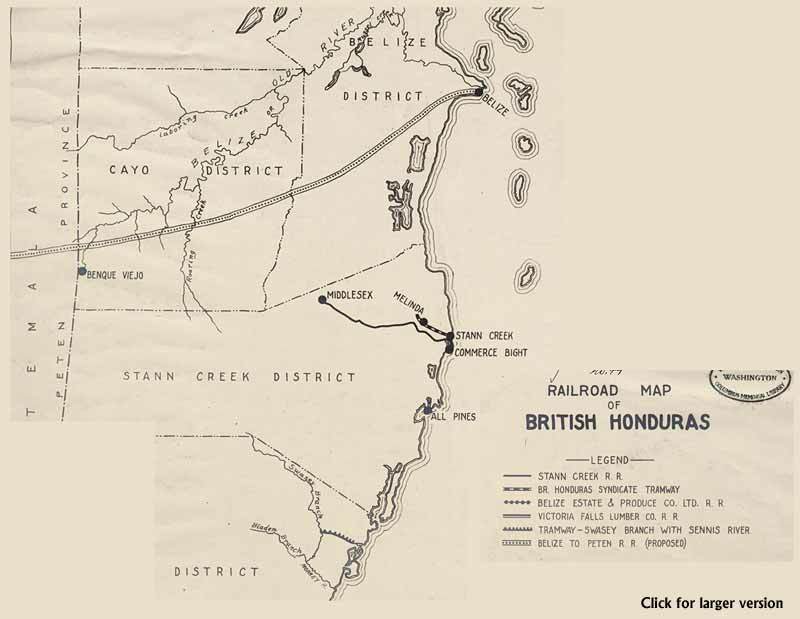 Three main railway systems were built in Belize. These were in the Stann Creek, Orange Walk and the Cayo districts. 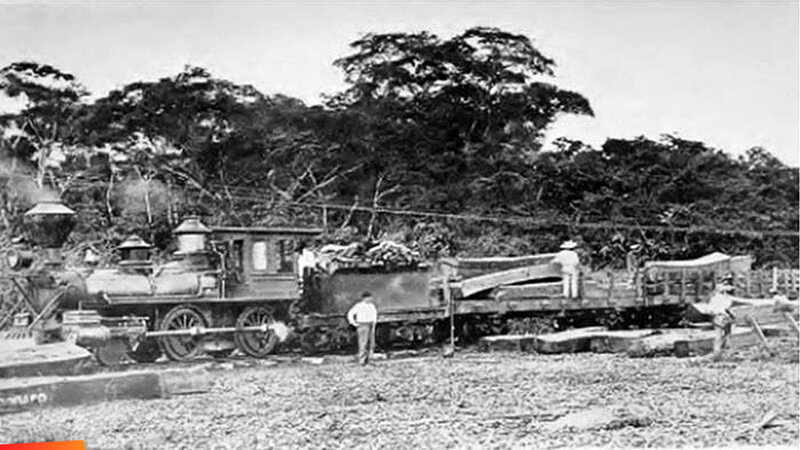 The first of these was the railway in the Stann Creek district built primarily for transport of bananas from the Stann Creek Valley to Stann Creek Town. This rail also carried logs extracted from forests in the Stann Creek district. 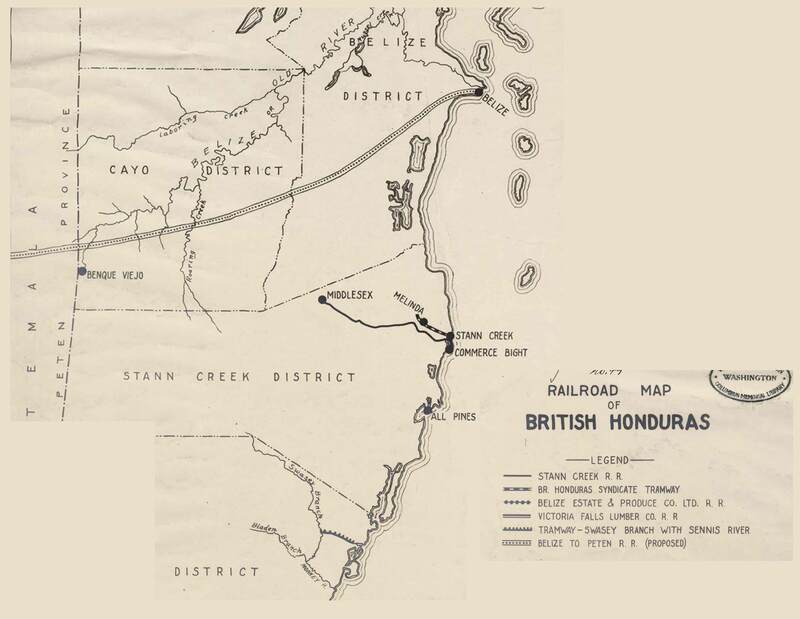 The Stann Creek railway was closed in 1938 and parts of this were transferred to other locations in Belize as well as Jamaica. The Corozal House of Culture (NICH) has two pieces of original rail lines that once ran in Corozal, donated by Mr. Alan Baker. There are still a lot of pieces of this old railway in the jungle at Gallon Jug. I see them on horse back riding trips through the rainforest about a mile west of Tapir pond. And on Vaca Plateau, near Che Chem Ha. There is an old engine made in Birmingham, Alabama in 1926.